Youtube channel Moviecollection started streaming 3 TV promo versions for the 3rd installment titled of the Rurouni Kenshin movie: Rurouni Kenshin: The Legend Ends or “Rurouni Kenshin: Densetsu no Saigo-hen". The 3 TV spots version are titled: The End, Truth and Romance. The movie will premier this September 13, 2014 The videoes showcase singer-songwriter-musician Masaharu Fukuyama joining the Rurouni Kenshin cast as master swordsman Hiko Seijūrō and music from One Ok Rock. 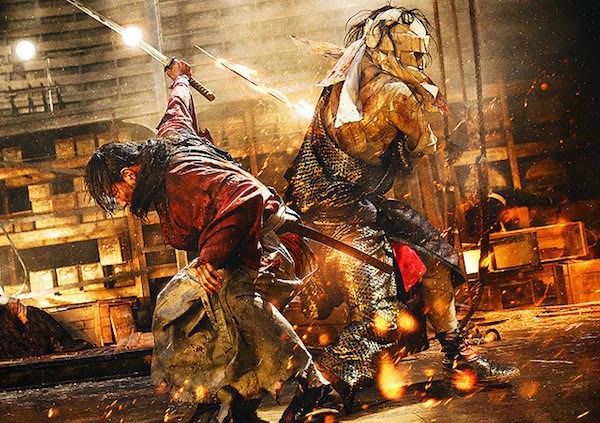 It was recently reported that the 1st sequel of the live-action Rurouni Kenshin movie titled Kyoto Inferno movie sold 645,086 tickets for 822,734,430 yen on the first 3 days since its premier last August 1st. The distributor of the film aims to out do last year's earnings of 4 billion yen (US$40 million).